I am totally satisfied with the job,and will have all my work on my automobiles done anytime I need a problem resolved. Why choose Scotty's Transmission & RPM Automotive - Sparks Auto Repair? 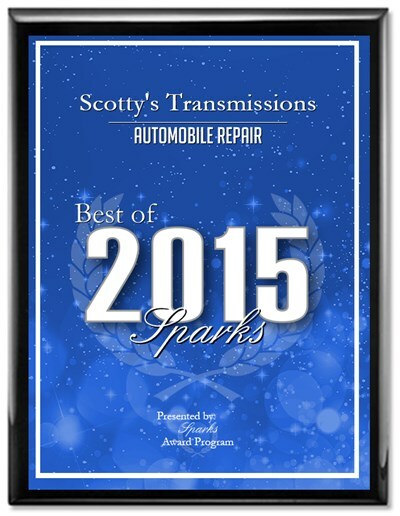 Scotty's Transmission & RPM Automotive is Reno and Sparks leading Sparks Auto Repair shop in the Sparks and Reno area. We also specialize in Sparks Transmission Services. All of our technicians are highly trained, certified and ready to service your vehicle! When it comes to Automotive Repair and Transmission Repair it is very important who you choose! At Scotty's Lube Pro's it's not about car count, its about quality and that's why with every oil change you get a complimentary full safety check, may take a little longer than the "get you in-get you out" chains, but when we are done you will know if there any problems! Our motto here at Scotty's Transmission Repair and RPM Automotive Maintenance is fair and honest work at a reasonable price. Come to Scotty's Transmission Repair or RPM Automotive Repair today and let us fix your vehicle the right way, the first time!